No guest on this week’s TradeshowGuy Monday Morning Coffee. Instead, I muse a bit about unintended consequences, starting with Brexit. No, I don’t really get political – just trying to use that situation as an example of unintended consequences. Be sure to watch for this week’s Tradeshow Tip. And this week’s ONE GOOD THING is the new book from Seth Godin called This Is Marketing. Don’t forget the Tradeshow Tip of the week – a great list from Tradeshow Superheroes and Exhibiting Zombies – and this week’s ONE GOOD THING: the opening weekend of ski season at Hoodoo Ski Bowl. No guest this week, just me looking at things like calendars, time and space, goal-setting and year-end planning. Jump on board! This week’s ONE GOOD THING: taking Saturday off to work around the house. What’s one of the best ways to represent yourself to someone who can’t see you in person? Show them a photograph! Not just any photograph, though. Make it professional photograph, taken by someone who know how to bring out the best “you” there is and capture it with a lens. This week’s ONE GOOD THING: Disconnecting from the world for just a few days. Find Mike’s LinkedIn profile here. And this week’s ONE GOOD THING: The 50th anniversary release of “The Beatles” (White Album). Find Larry Kulchawik here on LinkedIn. Here’s a link to his book on Amazon. This week’s ONE GOOD THING: Bohemian Rhapsody, the Queen biopic. And if you want to see the entire Queen set at Live Aid 1985, which was the centerpiece of the movie, take a look. Magician and professional tradeshow presenter Robert Strong discusses how to draw a crowd, how he works with clients, and what makes a good opening line – and a lot more – in this enlightening interview. Want Over 1000 Quality Scans a Day at Your Tradeshow Booth? 1. Remove bad behaviors: No eating, drinking, cell phones, sitting, booth huddles, etc. 2. Add good behaviors: Stand, face the aisles, smile, make eye contact, initiate conversation, etc. 3. If you are not getting rejected a hundred times an hour, you are not initiating enough conversations. 4. Have a strong opener: What do you do at your company? What is the most interesting thing you have seen at this show? What is your (companies) biggest pain point? 5. Make the current attendee you are talking with the most popular person at the show. 6. Be able to do the overview (elevator pitch) in 10 seconds, 30 seconds, and 90 seconds. 7. Understand and communicate concisely the giveaways and raffles. 8. Be able to scan badges and do it quickly. 9. Qualify leads quickly, make introductions, and end conversations quickly. 10.Have three case studies (success stories) rehearsed and ready to go. 11.When doing a demo, scale. When you see someone else starting a demo, help them scale. 12.You are on stage. High five each other, fist bump each other, enthusiastically cheer for your fellow booth staff, and let the attendees see that you really like each other and are having fun. 13.Treat the attendees exactly how you would want to be treated if you were in someone else’s booth. 14.Make a follow-up plan and take notes. And finally, this week’s ONE GOOD THING: the Bag Man Podcast about Vice President Spiro Agnew. This week’s ONE GOOD THING: Man in the High Castle. Season Three has just been released. 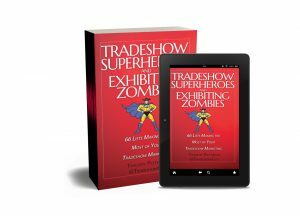 Publicity Expert Joan Stewart – known as the Publicity Hound – joins TradeshowGuy Tim Patterson to talk about how to get publicity at a tradeshow: before, during and after. Keep a notepad handy – there are a lot of great ideas that you can put to use! This week’s ONE GOOD THING: The NBA is back, and I’m a big Portland Trailblazers fan. 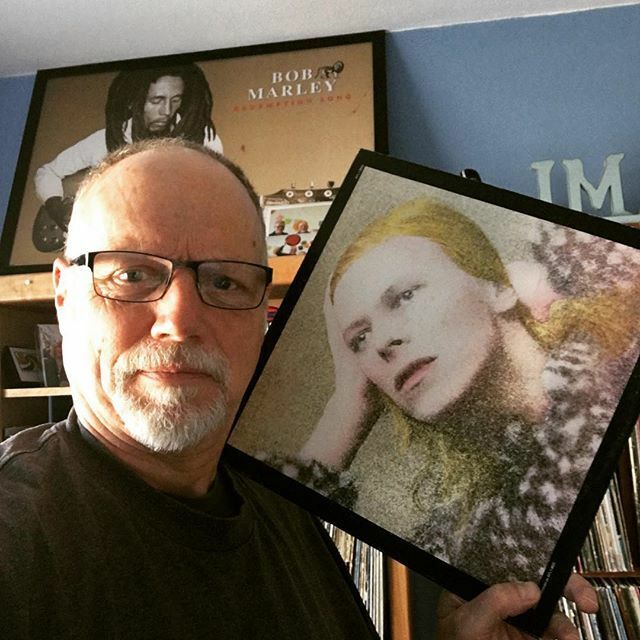 Chris Reimer is an author and entrepreneur which means we had a lot to chat about on this week’s edition of the TradeshowGuy Monday Morning Coffee. Our main two points of conversation include his book Happywork and the new device charger he’s just released with the name of Boosa. Check out the Chris Reimer book Happywork here. And take a look at Boosa Tech here. This week’s ONE GOOD THING is the Philip Roth novel, The Plot Against America.